Today's blog is a sequel to the last blog I wrote on 16th January. 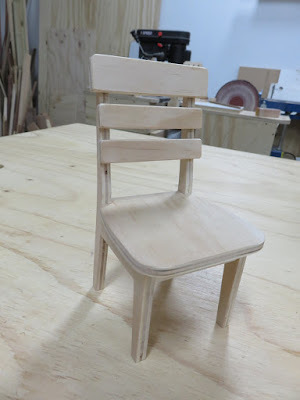 I made a miniature wooden chair last time, with plywood. It looked good but I wanted to make it with real timber. I asked Juno and got some American Walnut which was good texture. I drew a chair in real size using a software ViaCAD and reduced it into 1/6 scale. 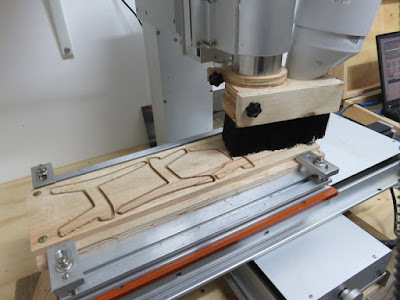 I put a printing of the drawing onto the board and cut it using an electric scroll saw. Then, I sanded the edge of the cutouts neatly. Putting every part in the correct position is difficult and I paid close attention to do the right work. I know this is just a hobby but I was doing it very seriously. 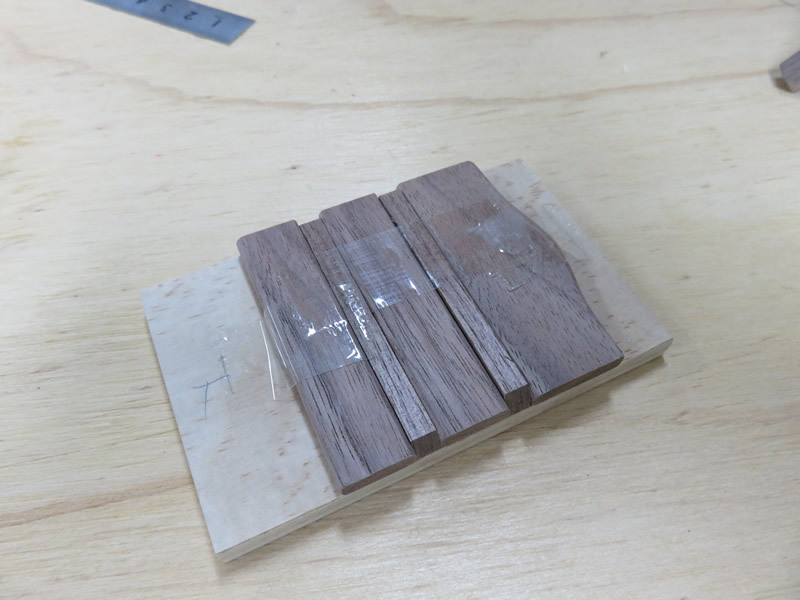 Juno gave me an idea to hold small timber with sticky tape. I don't know if it is a common way to do it, but this was a really good idea and worked well. 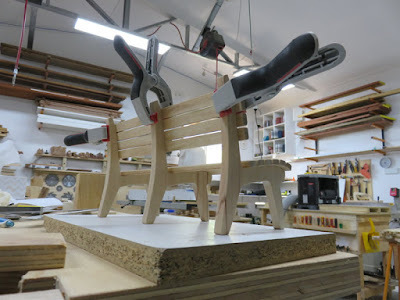 The first chair's backrests were glued on the frames of the chair, this time I caught backrests in the frames. This procedure is awkward and took time but looks better than the first one. 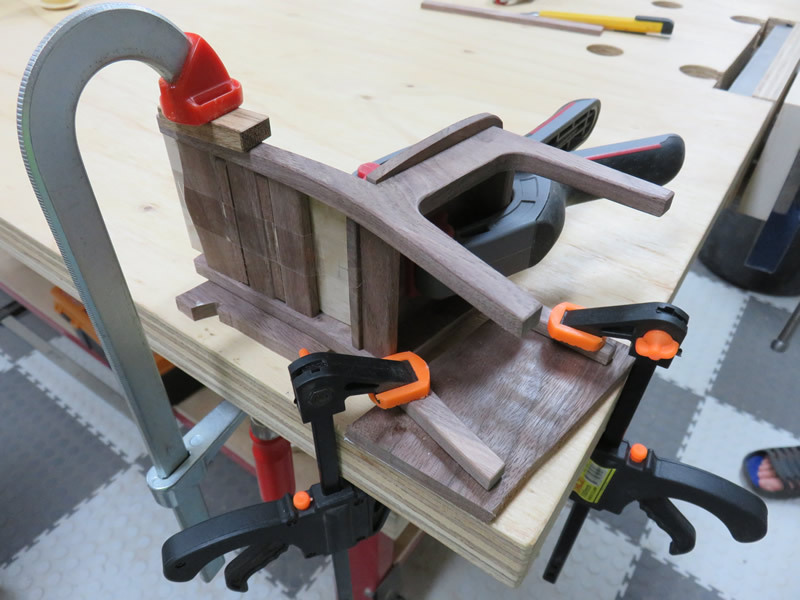 Luckily, we have lots of small clamps, they were just a good size to hold my miniature chair. I took almost a day to complete the chair. Here it is, this is my second wooden chair of 1/6 scale. The tote bag on the chair is also 1/6 scale. 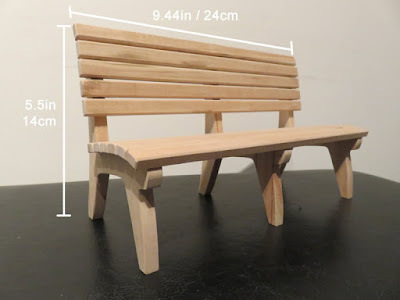 The next day that I made an American Walnut chair, I made a miniature outdoor bench because there were narrow pieces of offcut timber. I was going to cut the timber by the electric scroll saw as I did before, but Juno suggested that I use a CNC router. 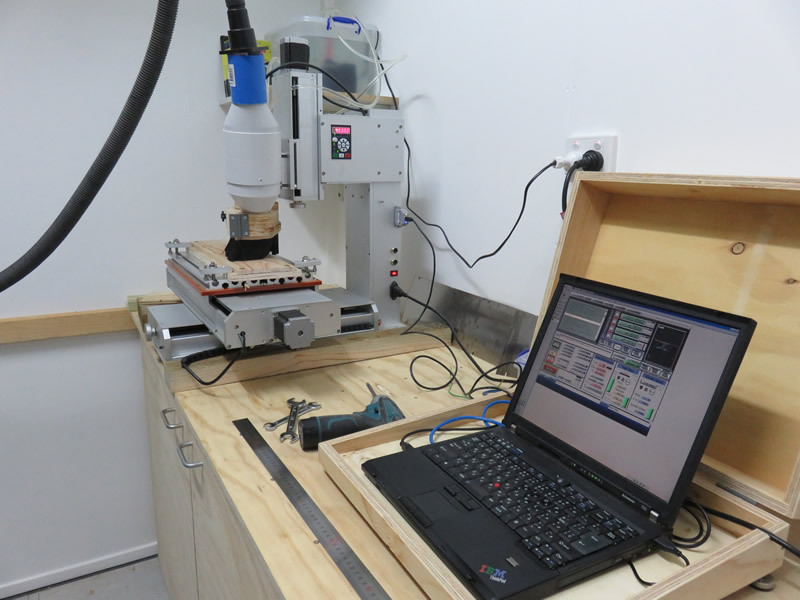 He imported the DXF data and cut the bench frames. It took about 20 to 25 minutes. It's easy and noisy. After cutting the frames, as I did the day before, I sanded and made sure the size of each frames. 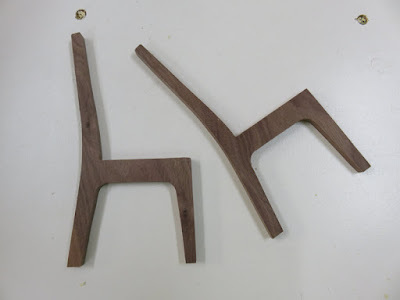 Then, routed the edge of narrow timber, these timber would be the seats and the backrests. 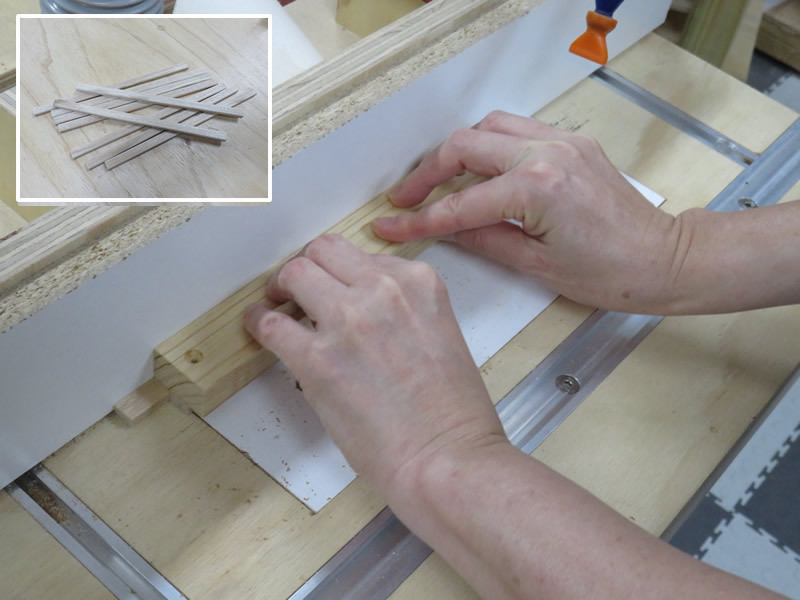 The next step was the last step, putting the narrow timber onto the frames and then, I was finished. 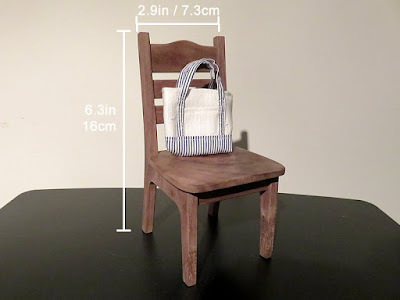 I really enjoyed making miniature furniture. I would like to make 1/12 scale miniature next time.